In 2017, the Boy Scouts of America decided to allow girls to join. The Girl Scouts of the USA are not happy and neither are some adult leaders within the Boy Scouts. 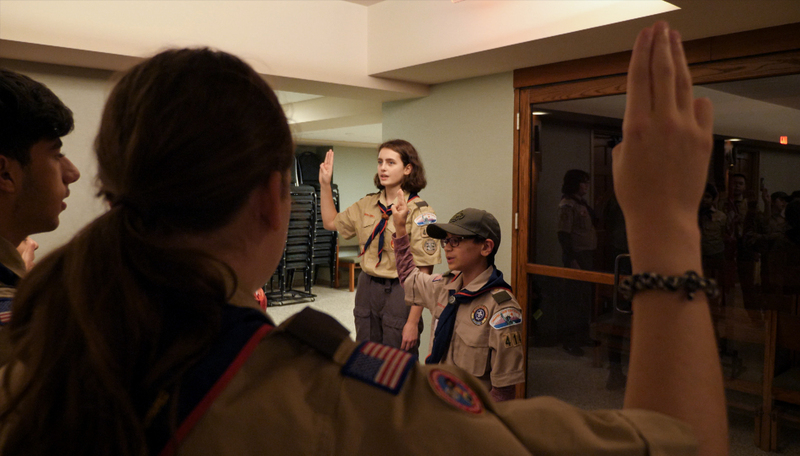 Anika, a newly joined 10-year-old Cub Scout is navigating the intricacies of what it means to be in a program that was historically created for boys. Sydney, a 17-year-old unregistered Boy Scout is denied her Eagle Award, the highest and most widely regarded rank in the organization, as she fights with the national office for the requirements that she spent years working on to count. The filmmaker, who is an Eagle Scout, challenges those who disagree with the decision, while also questioning the motives behind it.